This sutra guides us in how we can fix out mins upon the Divine. 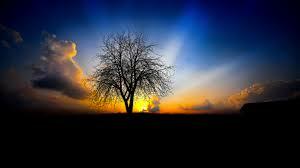 Since the Divine is beyond conceptualization the mind can not perceive it. How can you fix your mind on that which you can not perceive? 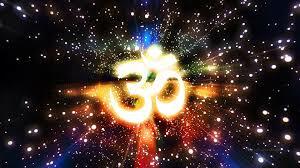 Patanjali says the repetition of OM, vibration in which the Divine manifests, is the means. Since the Upanisads, in Indic traditions, OM has been considered no different from the Divine and is there for the best support for the mind in meditation. The term japa means recitation and dates back to Vedic times referring to the reception of Vedic mantras. This sutra is specifying how to engage in meditation on the Divine, how to show one’s devotion to the Divine. Suffice it to say one must chant the mantra OM, the Pranava Mantra, in a devotional mood. This repetition produces images of God in the Citta, the heart-mind field of the aspirant. It creates sattvic samskaras, and the mind remains more and more with these samskaras, resulting in the experience of bliss. Japa of the Pranava Mantra also makes the yogin a fertile spot for Divine Grace to blossom, leading to Samadhi. In the commentaries on this sutra it is explained that this is not just the repetition of OM, but the simultaneous reflection and contemplation on OM. To me, this means being totally absorbed, totally involved in the repetition of OM. Using all of the aspects of oneself in the repetition of OM, while understanding the intention and the process of creating samskaras and sprouting sattvic seeds in the Citta. That is why I have chosen to translate this sutra so literally. 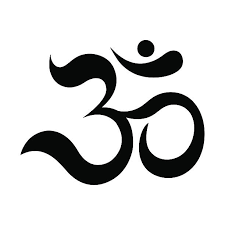 The repetition of OM (by the whole of the individual consciousness) becomes OM. Satchidananda also teaches that you can see variations of OM in “Amen” or “Ameen”. He says that though we may sit on the cushion and experience the “same” thing, the truth, we may express or discribe it in different ways. The different ways used to describe God are due to our place in time and our place in the World. It is due to the language we speak and the political, cultural, and social environment that we experience. Meditation: Changes in the Practice! What was your experience with the repetition of OM? Do you see your personal meditation practice as a devotion to God? Does or would using your practice as a devotional practice make your feel more excited and joyful in regards to your practice? What comes first, words or concepts, maybe neither?